Jarrod started training to practice accident reconstruction in 1989. In 1993, he obtained a Bachelor of Sciences in Mechanical Engineering from Washington State University. He earned his Ph.D. in Bioengineering from the University of Washington in 2002. 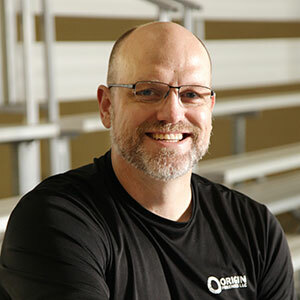 He started practicing as an accident reconstruction and biomechanical injury analyst full time in 2000 and has continued that practice to the present. In his three decades in this field, he has earned a reputation for thoughtful detailed analysis and clear presentation. Adam joined Origin in 2009, and threatened to hang around and work for free until he was hired. Since that time, he has become an integral part of the team and has demonstrated on many occasions an ability to see past the complexities of a particular analysis and identify a simple solution. He has received training and certifications in laser scanning (FARO), total station mapping (Nikon), crash data retrieval (Bosch), and crash simulation (HVE). He has demonstrated proficiency in photogrammetry using Photomodeler and 3DS Max. 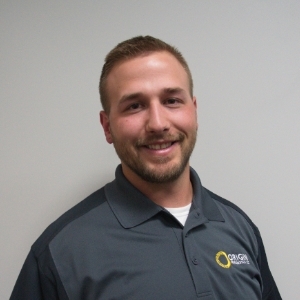 Adam has a Bachelor of Mechanical Engineering Technology from Eastern Washington University that he obtained in 2009. 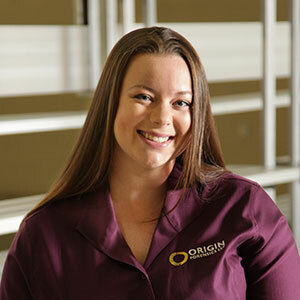 Erin joined Origin in 2013 with an indomitable attitude and an amiable manner that is second to none. Initially, she was supposed to be Jarrod’s assistant, which would be a difficult responsibility by itself; but, shortly after joining the company she was thrust into the role of office manager and bookkeeper. Many people might resist such a sudden change in roles and responsibilities, but Erin has never met a challenge she couldn’t surmount, all while smiling ear-to-ear. Since joining Origin she has been instrumental in making operations more efficient and profitable. Further, she has become known both in and out of the office for her ability to track down subject vehicles where others had failed. James joined Origin in 2014. 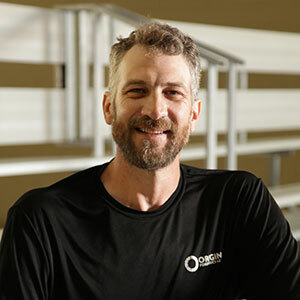 After completing a strenuous six-week interview process,during which he demonstrated his passion for accident reconstruction, we agreed he makes an excellent addition to the Origin team. His passion to perform a detailed analysis and find the truth is always on display, and it is infectious. He has completed training and certifications in laser scanning (FARO), total station mapping (Nikon), crash data retrieval (Bosch), and crash simulation (HVE). 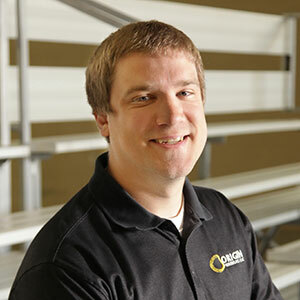 Like Adam, he is proficient at photogrammetry using Photomodeler and 3DS Max, and has extended his proficiency to video analysis and videogrammetry. James obtained a Bachelor of Science in Mechanical Engineering from Gonzaga University in 2014. Kyle joined Origin in 2018.